Your personal body measurements and the stretch ratio of your fabric come together to create a basic block pattern with the perfect amount of negative ease. Get the sizing and ease on your patterns just right without guessing. Eliminate the most common fitting issues right out of the gate. Balance and true the pattern, adjust for your cup size and create a neckline with a neckband that hugs your neckline perfectly. You Had Me at "Cup Size"
Construct the test garment, assess the fit and see what the perfect fit looks like. Ask questions and get answers with access to the instructor and your classmates inside the course. "I have been trying to learn pattern making techniques from various sources. 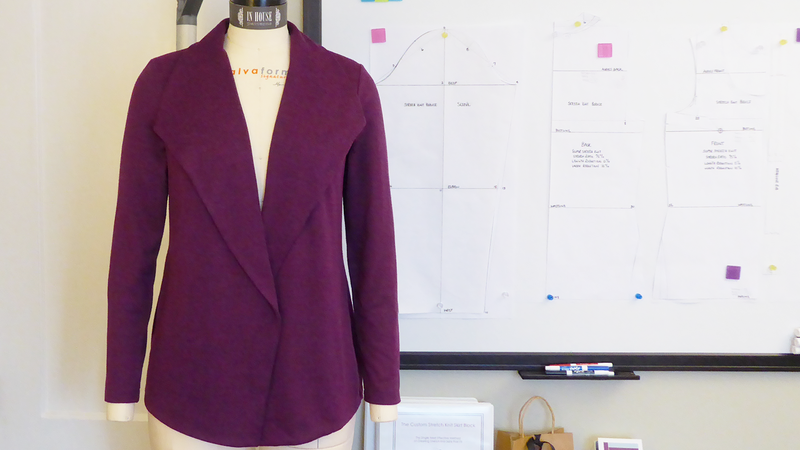 This is the first I have come across specifically dedicated to drafting a knit garment from scratch with body measurements." "I have enjoyed this class tons! There is so much information shown and given; so much better than any other class I've taken." 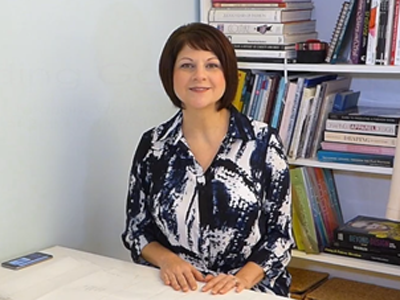 5 steps and 18 video lessons that walk you through every step you'll need to take to draft, refine, and fit a stretch knit bodice sloper made using your personal body measurements and the stretch ratio of your chosen fabric. Full instructor support as you draft, refine and fit your bodice block. Ask questions and get answers directly from your instructor, Alexandra, and communicate with your classmates inside the course. Download and print the course materials so you can reinforce your learning and have the tools you need to follow each lesson with ease. You'll get printable curves, drafting instructions, and scaled block patterns just to name a few. Learn and use proven fashion industry techniques to build your basic block and fit it to perfection so you can start designing your own truly unique garments that fit! 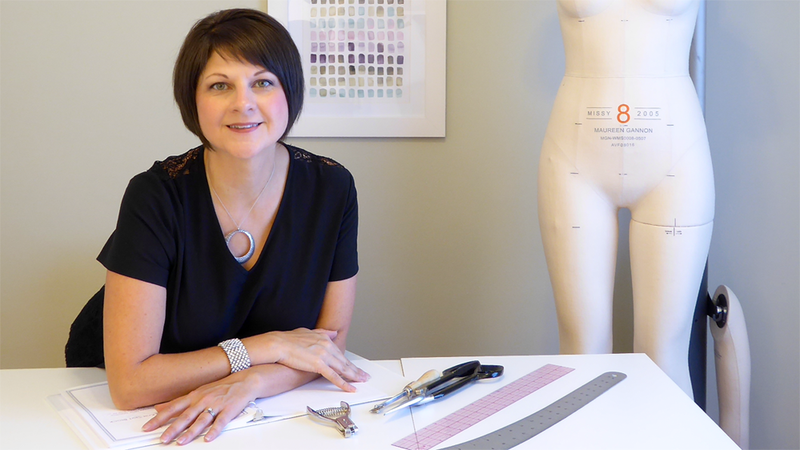 Alexandra Morgan of In-House Patterns will show you step by step how to draft your custom stretch knit bodice using your personal body measurements and the stretch ratio of your chosen fabric. You'll learn how to calculate measurement reductions for the perfect amount of negative ease, you'll balance, check and true your draft. You'll learn how to adjust the draft for your cup size and eliminate a gaping front armhole. 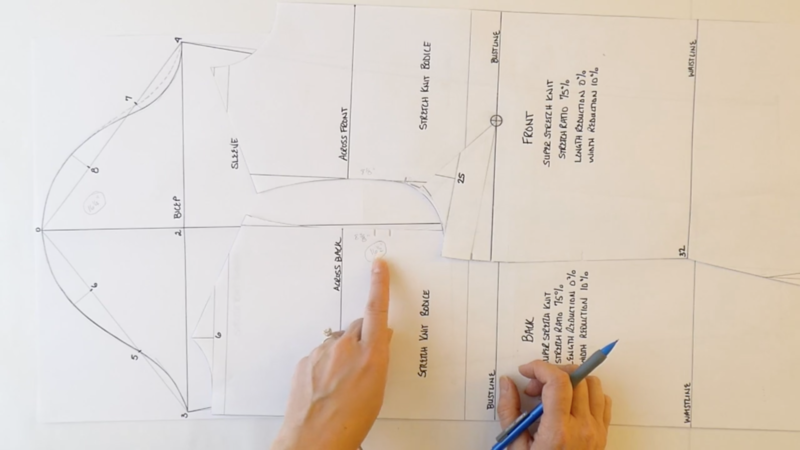 You'll also learn how to design a basic T neckline with a neckband that hugs your neckline perfectly so you'll be ready to construct your T-shirt and refine the fit. You'll get instruction on constructing your T-shirt as well as assessing the fit. Get full access to the instructor and your classmates inside the course. Finally you'll learn how to make your perfectly fitting stretch knit bodice block into a master pattern for each fabric stretch ratio. Included in this course is a bonus lesson on how to oversize your block so that you can create looser fitting tops, dresses, jackets and cardigans. You even get a downloadable pattern design project that will help you create this shawl collar cardigan! Alexandra has worked in the fashion industry as a pattern maker, designer, technical designer and fit technician for over 20 years. She holds a Bachelor of Science in Home Economics, with a a major in clothing and textiles, from the University of Saskatchewan (BScHEc, 1990) as well as a Bachelor of Applied Arts in Fashion Design from Ryerson University (BAA Fashion, 1995). In 2010 Alexandra founded In-House Patterns, and has been developing and teaching pattern making, draping and garment construction courses since 2012. Courses taught by Alexandra are known to be well thought out, highly detailed and stuffed full of information you won't find anywhere else. "I feel as though you, the instructor is easily approachable and available for questions. You seem to be highly invested in your pupils success." "You take the time to explain things well and show how to correct different situations. You have responded to my questions promptly which is a huge bonus. I have taken classes from Craftsy and have had to wait weeks for a response." "You have a gift for teaching and for pacing yourself." 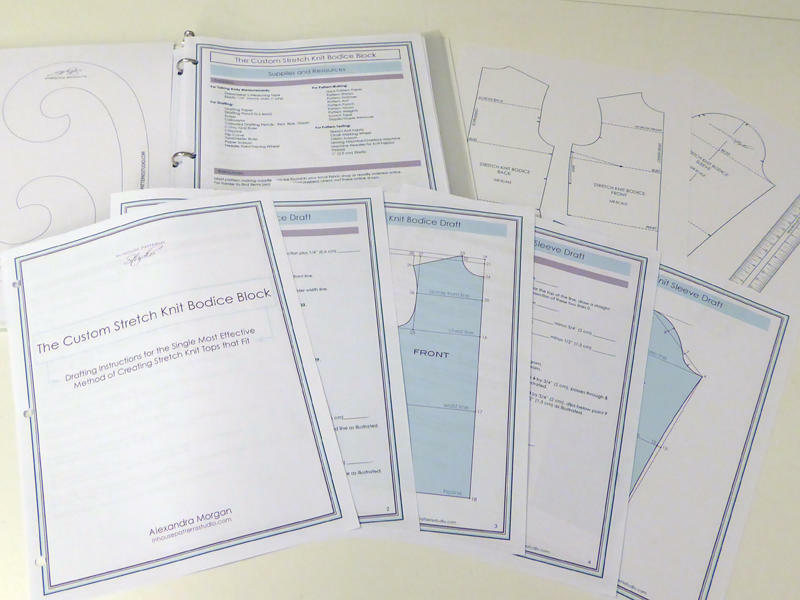 START YOUR STRETCH KNIT BODICE BLOCK DEVELOPMENT TODAY! Access to the Instructor: ask questions and get help inside the course. Lifetime Access and work at your own pace convenience.